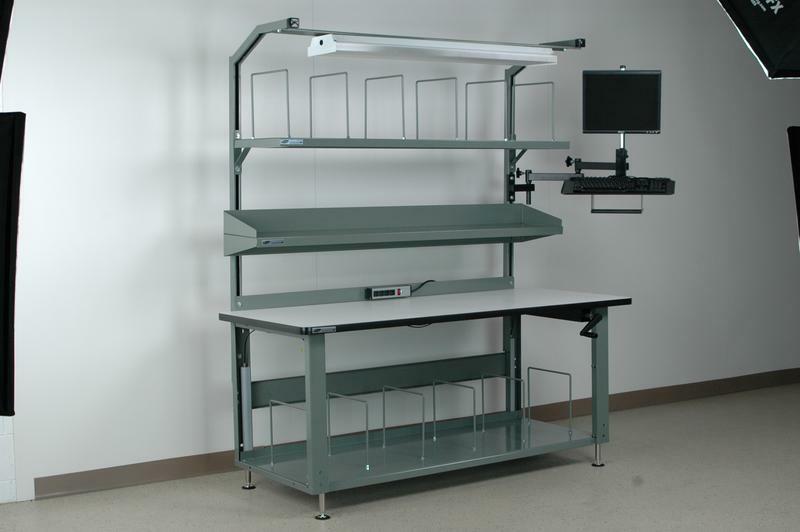 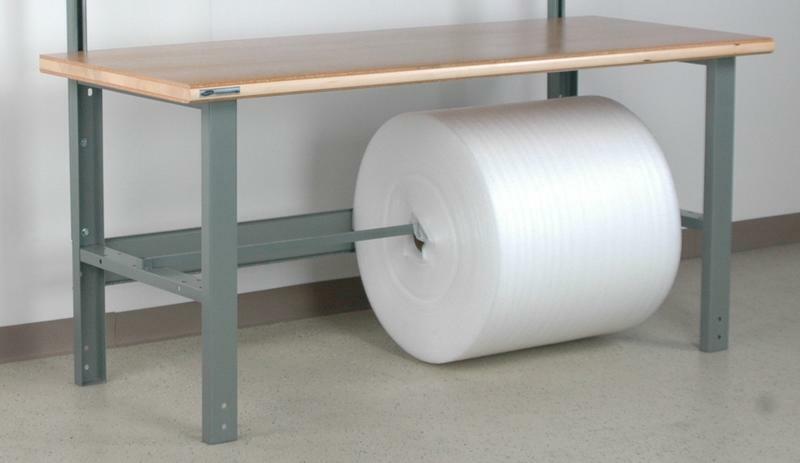 The 72" below worksurface roll holder is available on all of the workbenches we manufacture. 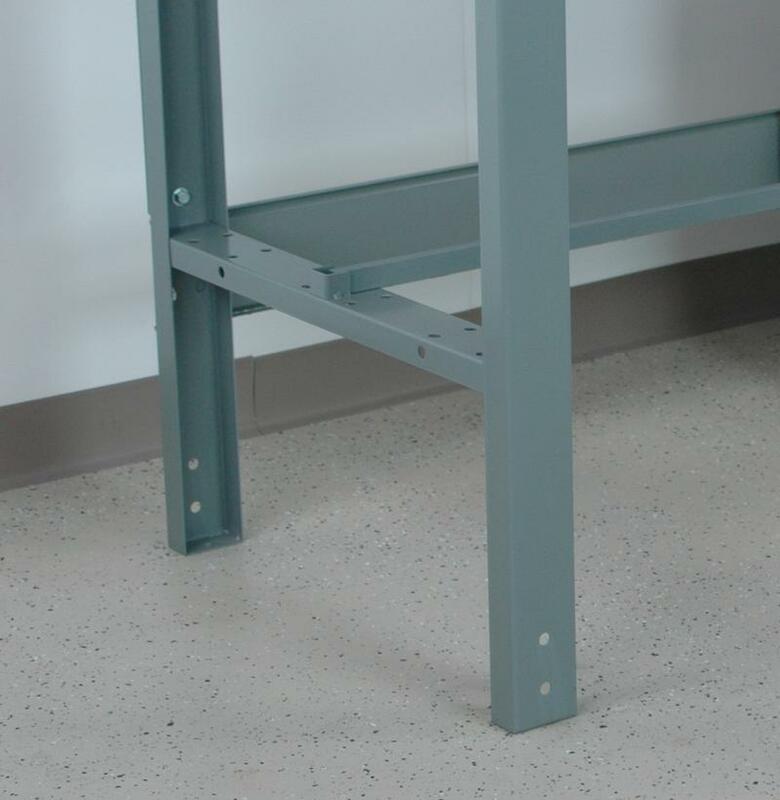 The Leg struts on the workbench are raised up from the standard location to center the bar on the height of the leg. 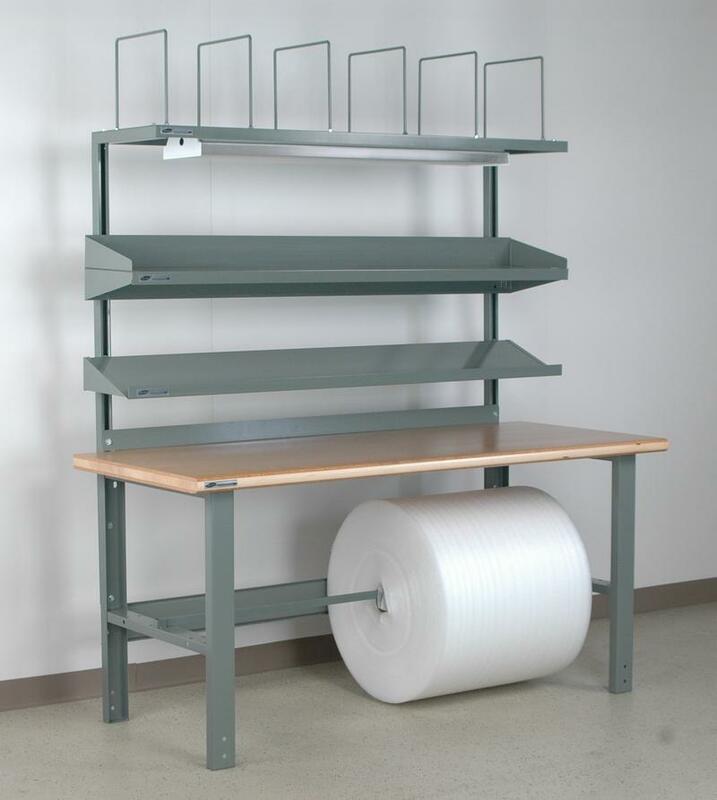 All roll holder bars simply cradle into a set of clips that are welded to the leg.